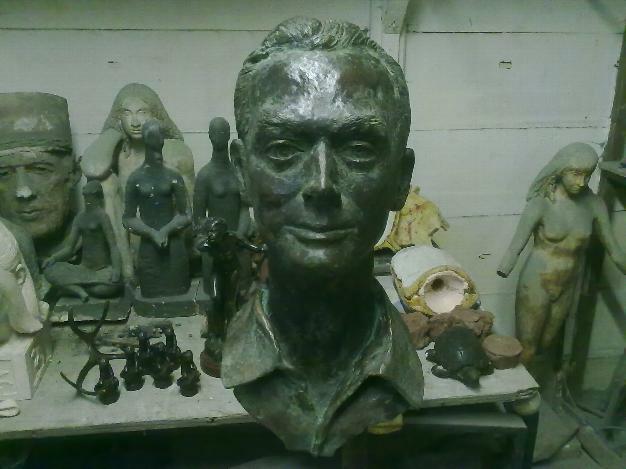 The Art Bronze Foundry was established in 1922 by its founder Charles Gaskin. From its first premises in the Fulham Road, Chelsea, it located to Michael Road just off the Kings Road in 1953, where it remains at the heart of London's fine art scene. It is one of the oldest art foundries in London and has been a family business for three generations. Charles' fellow director was his brother-in-law Bert Francis. After Charles' death, his son Michael took over, aided by his cousin Roy Francis, associate director William Hayter, and Bert's brother Leonard Freiensener. Today, Michael Gaskin is the retired chairman, and Charles' great nephew Philip Freiensener is now Managing Director. 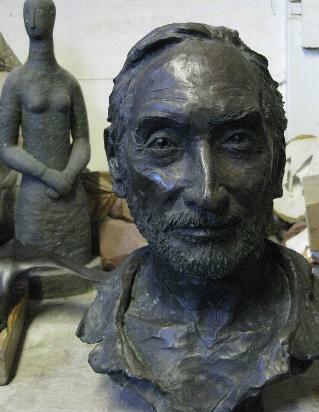 The Art Bronze Foundry has been at the forefront of bronze casting for sculptors, executing work for the great artists including Henry Moore, Elizabeth Frink, Jacob Epstein, Anthony Caro, Michael Ayrton, Barbara Hepworth and David Wynne. Such great names visited Art Bronze as it had a renowned reputation for quality and service that has served the art community for ninety years. It has played a key role in the embellishment of homes and cities throughout the world. In London alone it brought to life in bronze Epstein's Madonna and Child in Cavendish Square, Field Marshall Smuts in Parliament Square, John Doubleday's Charlie Chaplin in Leicester Square and David Wynne's Dancers and Woman with Doves off Sloane Street. 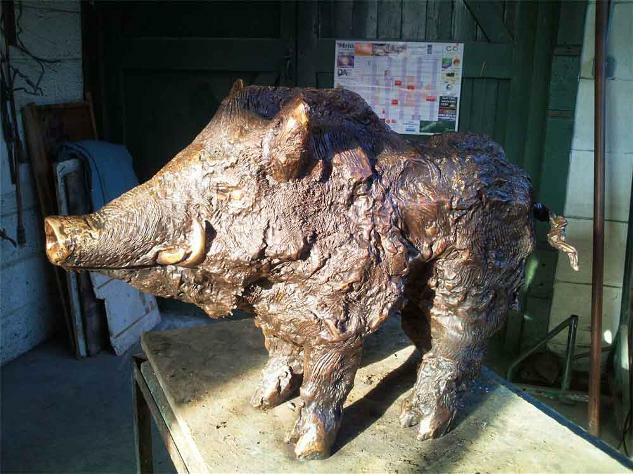 The Art Bronze Foundry has had an illustrious history. It has been the subject of many films and documentaries, and has regularly featured in the press, including The Times and The Independent. In 1999 it was the subject of a major exhibition at The Museum of London for several months, featuring photographs taken by Julian Deghy. In 2004, Homes and Garden magazine featured Art Bronze, and recently we have given tours to groups from many prominent associations. Art Bronze has been involved in a vast number of famous public works, even casting the original BAFTA awards. In 1951, Henry Moore had his iconic Festival Reclining Figure cast here for the Festival of Britain. 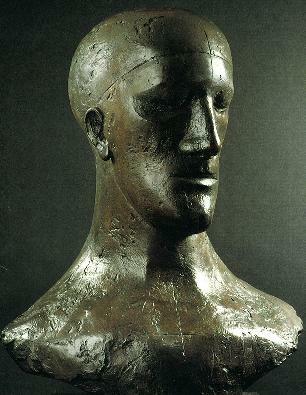 Other bronzes cast by us grace many national and international locations. There are John Doubleday's Brunel Statues at Paddington and Bristol, his Sherlock Holmes in Switzerland, David Macfall's Churchill at Woodford Green, Oscar Nemon's Churchill in Westerham, Elizabeth Frink's Eagle Lectern at Coventry Cathedral, her Christ in Belfast and Nathan David's Margot Fonteyn in her home town of Reigate. Perhaps the one piece cast by Art Bronze that was the most regularly seen until recently was the head of Churchill by Jacob Epstein, visible behind successive US presidents as they have spoken from the White House. Few foundries can offer such a wealth of experience, which is perhaps why we have a large client base including Arabella Brooke, Bryan Ferry, Annika Masolle, Hortense Marandet, Harriet Baker, Daria Coleridge, Penny Reeve, Claudia Koch, Pascale Porter, Michelle Cooper, Lady Quinton, The Northcote Gallery, Richard Burn, Eleanor Boorman, Maysaloun Faraj and Lin Jammet. 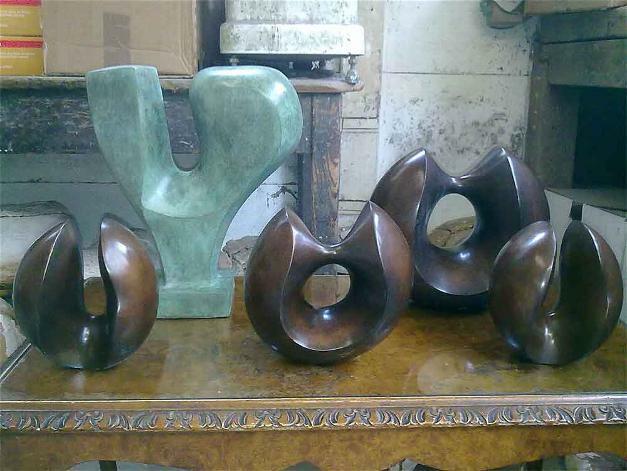 Artists who visit Art Bronze can be assured that the high standards which established our reputation are being continued today.